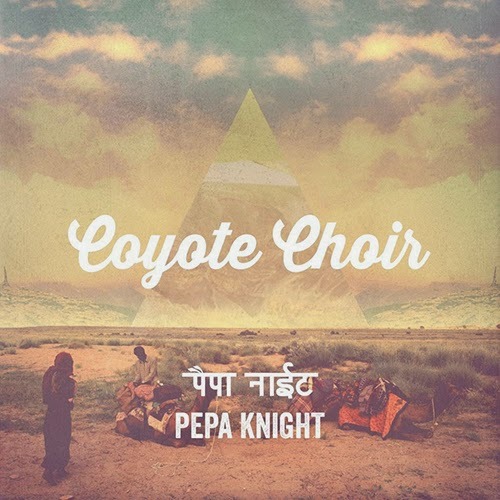 Pepa Knight needs no introduction on SPK. If you have been reading the last couple months, then you would have heard his worldly pop hit's Rahh! and Clams. Following on from his highly anticipated debut record Hypnotized Vol.I (released on Friday November 28th independently) The Jinja Safari co-frontman has released the third and final teaser to be taken from his debut album (due 2015), titled 'Coyote Choir'. Knight's spiritual connection to India must be deep. All the holy places, rituals and traditions that he experienced would have had a great impact on him. 'Coyote Choir' offers us self awareness, it could also be about finding your own compass in life. I know listening to this song makes me want to drift off and find my own spiritual self. You can catch Pepa this November when he tours.